The harsh heat and chemicals present in your hair care as well as hair styling products can damage your hair follicles and result into scalp itchiness. Sesame oil provides enough nourishment and moisture to your scalp, thereby soothing it efficiently and making the hair healthy. Massaging the scalp daily with sesame oil can be extremely helpful in reducing the dryness and flakiness. For the best results, move your fingertips in a circular motion and spread the oil all over the scalp. Also, apply it at night before going to bed and wash off the next day. Sesame oil has amazing deep conditioning properties and hence, you can get soft, smooth and manageable hair by including it in your hair care routine. All you need to do is to prepare a mixture by blending the fresh juices of ginger root and lemon with the oil and massage your scalp with it. As said before, sesame oil is capable of eliminating dryness of the scalp. So, it can be used as an effective remedy for dandruff too. Massage your scalp and hair with it every day before going to bed and wash off the next morning. Your scaly scalp will turn into a nourished one. Highly processed and eventually damaged tresses can be successfully revitalized by sesame oil. It can go deep into the hair shafts and makes them healthy from inside. Sesame oil works as a natural sunscreen for hair. Regular application of it forms a protective coat around each of your hair strands, which can combat the damaging effects of the ultraviolet rays of the sun efficiently. It has been found that sesame oil holds exclusive hair darkening or blackening qualities. 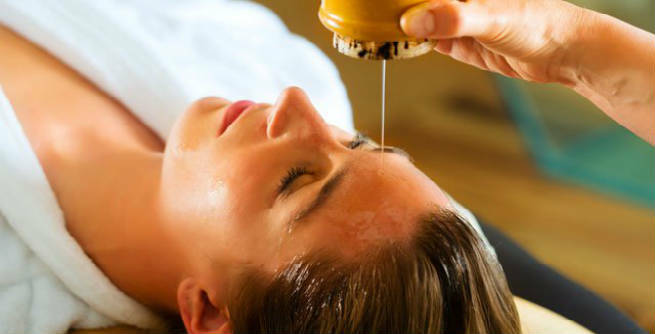 If you are suffering from premature graying, massaging your hair with this oil can help you a lot in restoring its natural color and preventing further graying. Regular usage of sesame oil can help you get rid of frequent hair fall. It can soothe, moisturize and nourish the scalp, thereby releasing stress, diminishing dryness and strengthening the hair shafts. All these play important roles in combating hair loss. 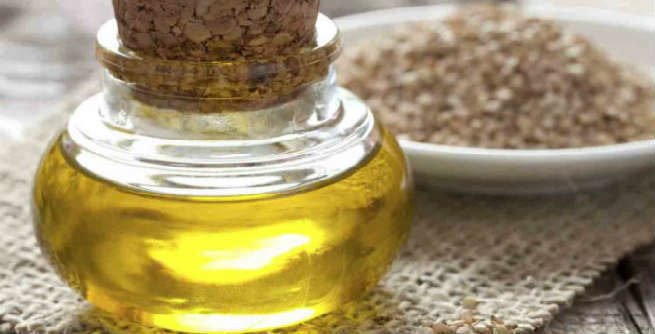 Sesame oil is widely known for its high penetration capability. It can easily go deep into the hair follicles and boost the circulation of blood throughout the scalp. As a result, the growth of the hair gets stimulated significantly. Last but not the least; sesame oil can keep head lice away. It has great antibacterial and antiseptic properties that prevents the growth of the worms and helps you maintain healthy as well as gorgeous locks.